Keep the river flowin' and together we'll keep growin'. Join the River Children on an exciting exploration of the great waterways of the world and discover the integral roles these rivers play in our lives. Whether used for fishing, food, irrigation, transportation, or more, every River Child knows that water is life! Did you know that the Nile River is 4,182 miles and runs through nine different countries? Enjoy legends and historic fun facts about the River Nile, the Mighty Mississippi, the Amazon, Rhine and Yangtze Rivers with this entertaining and educational 35-minute revue of music and narration easily adaptable for casts of less than 20 to over 60. 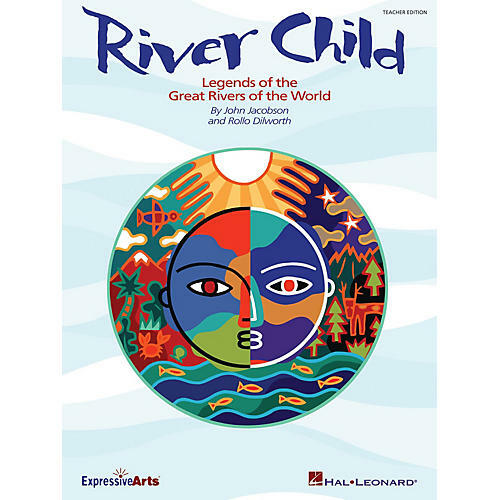 Designed for upper elementary to middle school students, River Child can be performed in a simple concert setting with minimal staging or expanded for a more elaborate production. Available: Teacher Edition, Singer Edition 5-Pak (vocals, dialog), Preview CD (with vocals only), Preview Pak (1 Singer Book, 1 Preview CD), Performance/Accompaniment CD, Performance Kit/CD (Teacher, 10 Singer books, P/A CD). Perf. Time: approx. 35 minutes. For Gr. 4-8.